Every Genesis Weight and Age Management Program begins with a half hour consultation with our Medical Provider. During your private consultation, Our Medical Provider will recommend the appropriate program to help you achieve your goals. Appropriate Dosages, Appropriate Routes of Administrations and the Appropriate Duration of individual treatment are all factors considered in hormone replacement programs at Genesis Weight and Age Management. 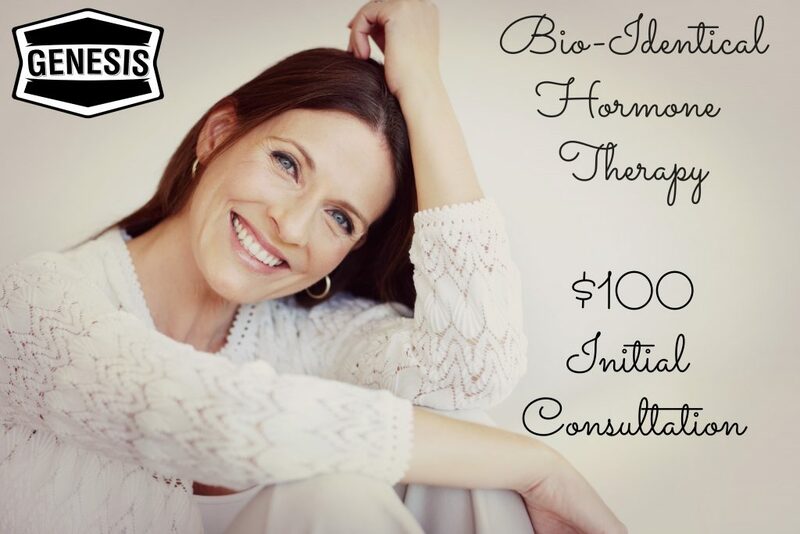 Our Medical Provider prescribes individualized hormone therapy optimizing each hormone. Throughout every Genesis program we monitor your hormonal system through blood levels, symptoms and patient communication, ensuring optimal levels are maintained. Medications are prescribed based on individual lab results, delivery systems and specific dosages. Our Program is all inclusive! It includes all office visits, Professional fees, Medications, Blood Work, Phone calls, emails, monitoring, ordering and managing each program. All Inclusive $169.99 Monthly Price!!! Again this includes all your Medication, Blood Work, Office Visits, Everything! No Surprises!